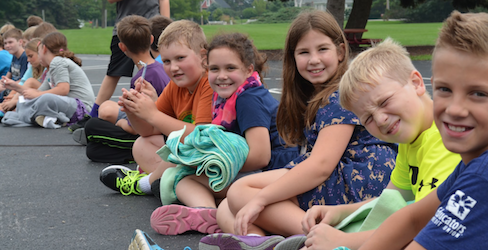 Home : Prairie Blog : All News : Welcome Wednesday: Experience Prairie During the School Day! Welcome Wednesday: Experience Prairie During the School Day! Please join us during a regular school day and experience first-hand what a Prairie school education is all about. Parents are invited to tour the school, sit in on classes, meet Prairie School teachers and speak directly with Molly Lofquist Johnson, Director of Admissions. Starting at 9:00 a.m., a current parent, teacher or an admissions team member will lead a walking tour of the campus, offering an overview of programs, methodology, curriculum and the admissions process. A question-and-answer session will follow and refreshments will be served. Please join us on one of the following Wednesdays: The tour is for adults only. Parents must RSVP by contacting the Admissions Office (262.752.2525 / [email protected]) or by the form below. This entry was posted in All News, Featured, Learn More About Prairie by Communications Department. Bookmark the permalink.